With a background in industrial design and engineering, London-based designer Michael Anastassiades continues to produce lighting, mirrors, and tabletop items that combine industrial design, art, and sculpture. Case in point, his String Lights for FLOS emit diffused light, while also providing the opportunity to create an artful display in your home. 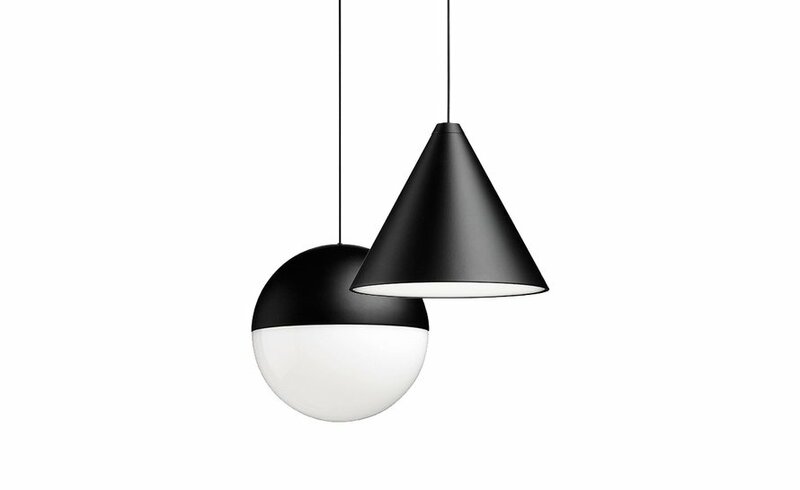 Featuring a matte black varnished die-cast aluminum body, each Italian-made pendant is coated with a clear soft-touch varnish and comes in a suspension system that’s either 12 or 22 meters. They hang from Kevlar reinforced coaxial cables and have optical diffusers that are made of opal PC (polycarbonate). If you purchase the appropriate mechanism, you’ll find dimming capabilities that can be operated with an app or by using the sensor on the luminaires. Finally, each light includes several hooks so that you can drape the strings freely—whether individually or in a group.